As a huge fan of Shirley Jackson’s novels, I’m excited to see The Haunting Of Hill House (1959) adapted as a brand new Netflix series. 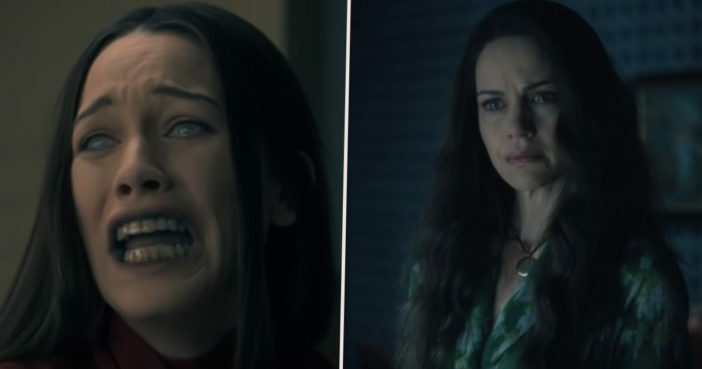 Just weeks back the series was branded as Netflix’s ‘scariest ever’, and now these claims have been backed up as The Haunting Of Hill House has received the prestigious 100% fresh rating from Rotten Tomatoes. One of the most atmospheric gothic horrors I’ve ever read – surpassed only by Susan Hill’s The Woman in Black – many of the creepier moments have genuinely stayed with me over the years. To read The Haunting Of Hill House is to feel a disquieting, isolated sensation unlike any other, both in terms of the setting and Jackson’s memorable characterisation of repressed, lonely Eleanor Vance. This ten-episode series looks set to deviate somewhat from the text, which is a fairly bold move. Whereas the novel followed a group of strangers thrown together as guests at Hill House, this series will focus on a family who call the haunted mansion home. However, I imagine Jackson would have approved of this suitably spooky reimagining, complete with brewing storms, shadowy rooms and implied family secrets. Created and directed by Mike Flanagan (Hush), The Haunting of Hill House stars Timothy Hutton, Carla Gugino and Victoria Pedretti. [The Haunting of Hill House] Explores a group of siblings who, as children, grew up in what would go on to become the most famous haunted house in the country. Now adults, and forced back together in the face of tragedy, the family must finally confront the ghosts of their past, some of which still lurk in their minds while others may actually be stalking the shadows of Hill House. Stunning trailer. Whoever cut this together did a fantastic job. Loved the music arrangement and the emotional hook of this looked good. Not to mention strong production values. Very excited to see this. Also, what a great cast! Mike Flanagan showing once again how underrated he is when it comes to the modern horror genre. This looks fantastic. However, some book lovers are understandably a little unsure about the series using the title of The Haunting of Hill House, seeing how the plot appears to be completely different. On its own, it looks good, but why call it The Haunting of Hill House if it has nothing to do with The Haunting of Hill House? Why not just call it something else? I came here excited to see a trailer about the messed up, emotionally immature Eleanor participating in a supernatural study where she becomes obsessed with Hill House and has a complicated relationship with Theodora. Erm… so why did they feel the need to tie this to Jackson’s iconic novel again? There is literally no connection apart from the title. The Haunting of Hill House has been adapted for the silver screen twice before, with mixed success. The Haunting (1963) is generally regarded as a classic in horror cinema, critically acclaimed and eerie enough to frighten even the most desensitised modern viewer. However, the cliche heavy 1999 remake was widely mocked; nominated for no less than five Razzie Awards. Could taking a step back from the original text work in this new adaption’s favour, expanding upon the spooky world dreamt up by Jackson? Or are there some stories which should never be tampered with? The Haunting of Hill House will begin stalking the darker corridors of your Netflix account as of October 12.